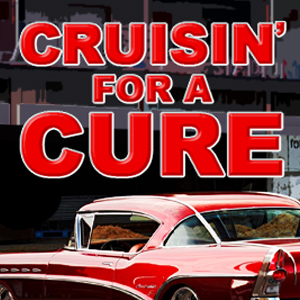 BG sponsors Cruisin’ for a Cure | BG Products, Inc.
WICHITA, Kan – BG Products, Inc., is proud to sponsor the fifth annual Cruisin for a Cure car show at Lawrence Dumont Stadium on Saturday, September 1. Over the course of the day, the event is expected to draw about 5,000 people and over 200 registered show cars. With the pending demolition of the 82-year-old stadium and the reconstruction of a new facility in 2019, this is the last year this event will be held at the existing stadium. Hosted by the Cars for the Cause organization, proceeds from the show help alleviate expenses for families with chronically ill children. Many of the registered show entrants also participate in the Hope Ride program. They drive children home from the hospital in a stunning show car and donate stuffed animals to hospitalized children. The 2018 show is Saturday from 9 a.m.–3 p.m. and will be filmed by Street Rodding American Style, the television show on PBS. Designed to appeal to auto enthusiasts, the series features car shows statewide.